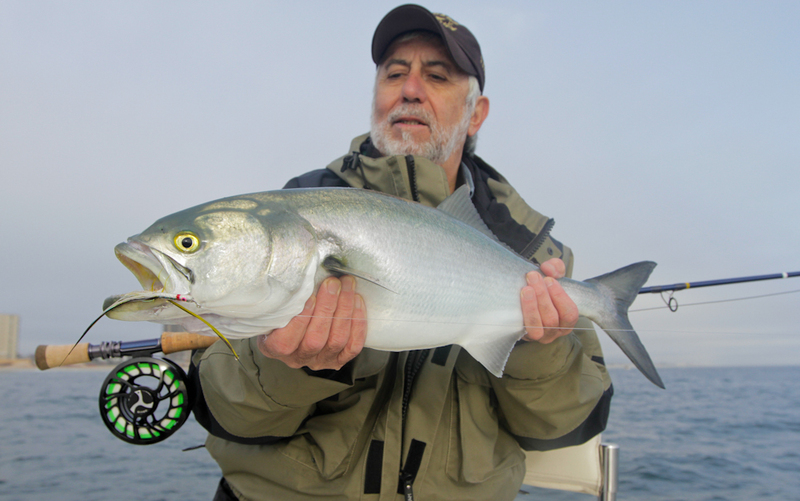 Come fly fish the rivers, bays, and ocean along the Jersey Shore. We run a fully equiped Jones Brothers 19'10" LT Cape Fisherman. Trips are for two anglers (third angler extra) and can be half or full day. We provide Orvis Helios 2, Access, and Clearwater fly rods from 9-12 weights. Leaders and flies provided. Please avoid wearing black soled shoes or boots. Bring sunglasses and rain gear.